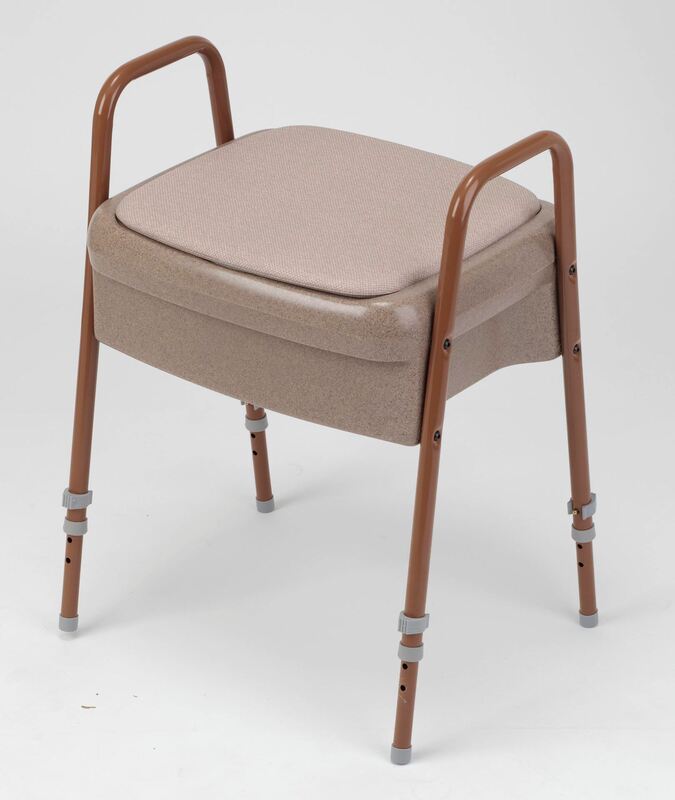 The Ashby Commode can be adjusted to the most suitable height for the user, simply by adjusting the clips on the legs. 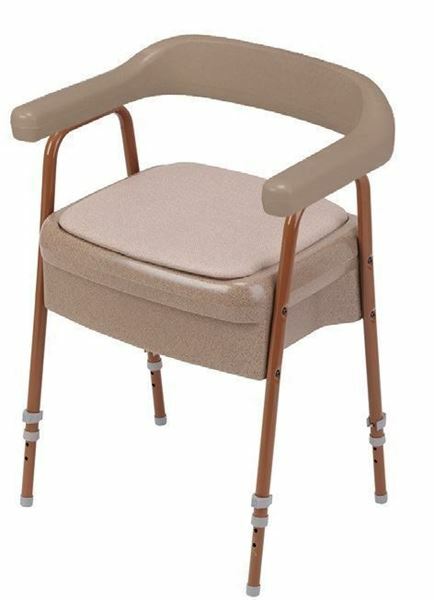 The chair features a smooth curved backrest and arms, which give support to the user’s back, improving accessibility. The all-plastic construction of the backrest makes it easy to thoroughly clean. 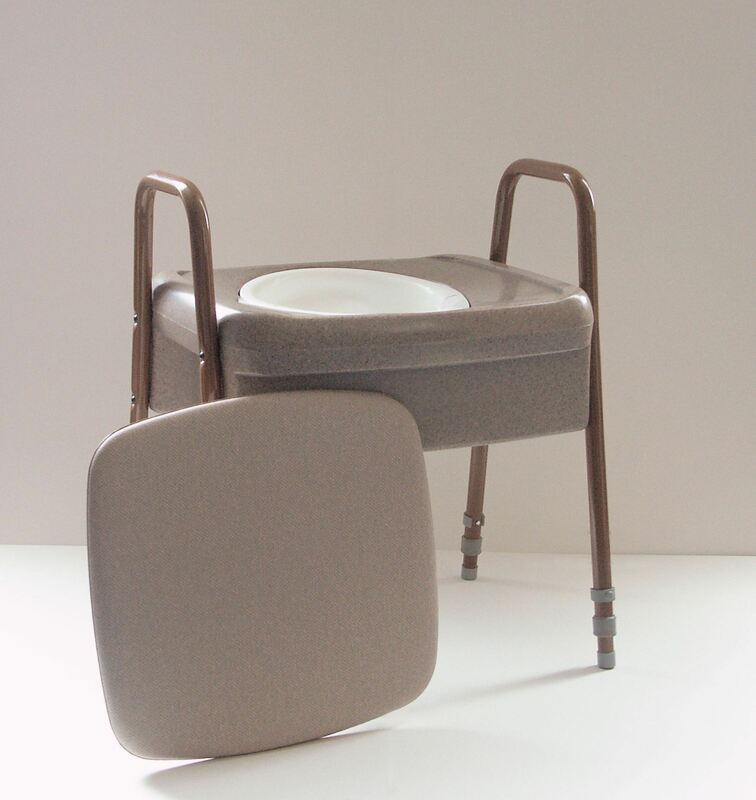 Its compact size and height adjustability makes it ideal for bedside use, while the practical design hides the commode’s function perfectly. 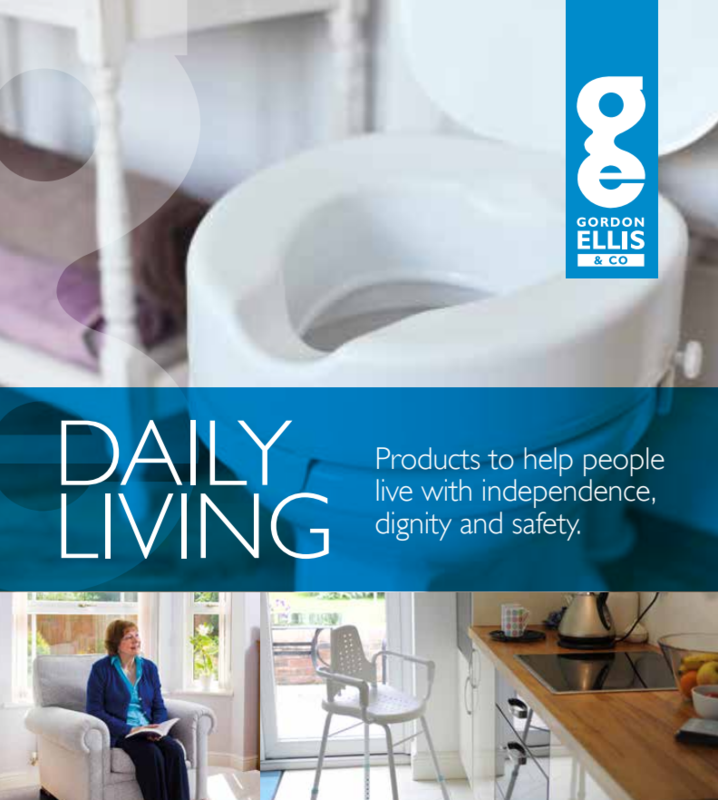 The soft padded cushion, upholstered in washable vinyl, conceals the built-in commode pan from view when not in use. Available as a stool or chair.